Corrections, improvements, and updates have been made throughout the guide. 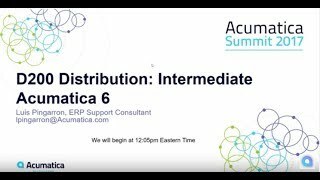 For instructor-led sessions, Acumatica 6.0 was used. We will update sessions as soon as new online training sessions will be conducted on a base of Acumatica 2017 R2.